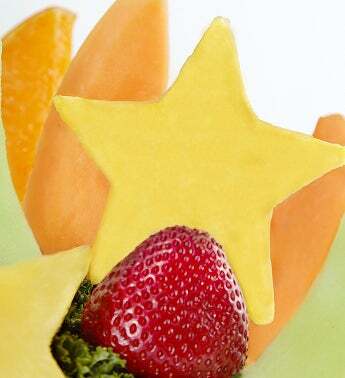 Every birthday should be celebrated with gold stars and confetti! 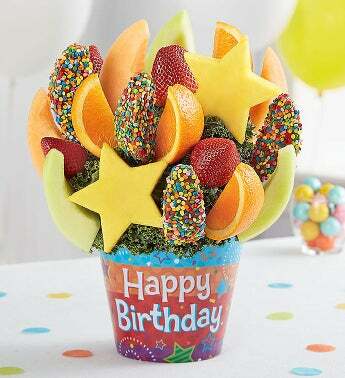 Our fun and fruity arrangement is a delicious mix of dipped apple wedges showered in confetti sprinkles, juicy pineapple stars, plump strawberries and more. 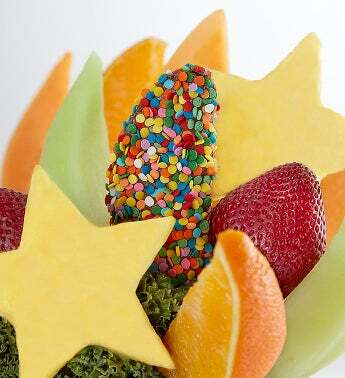 Presented inside a bright, colorful container, it’s a festive treat that’s fit for a party!